In this workshop we shared stories about a day in the life of someone whose racial/ethnic identity is "other," than our own. We reflected on the experience of composing them. We tried to view the world through the lens of a person with a different identity. We were then asked to list our individual concerns about expanding a multiracial/multicultural congregation? 1. bending too far in redefining our core beliefs to accommodate. 3. wondering what our motivation is for inviting other ethnic groups. Will they feel singled out? 4. finding balance in the music program so that it will include diversity without losing the current classical genre. beyond our circle to different ethnic groups? 6. Are we really open to people of different backgrounds, or are we making them feel uncomfortable if they come from more theologically restrictive backgrounds? 1. the "image" we may have of being intellectual, somewhat unemotional, and not spiritual. Maybe we have little tolerance for people with a conservative bent. This "image" issue may be a North American UU issue, as Unitarian Universalists from other cultures around the world look quite different from us; there are other ways to "do" Unitarian Universalism. 2. our structure, or the way we "do" church is what keeps us small. 3. we are not reaching out to our neighborhood. 4. the rest of the congregation may be challenged by what we are learning, how do we include the congregation in this journey? 5. I hope we can be more self-aware, knowing what we believe and aware of our isteners and meet them where they are. 1. we might go overboard in welcoming visitors to the exclusion of attention to longer-time members and friends. 3. we will forget that people come when they are ready. 4. we will fail to distinguish between historical "fear of the other" and our own personal fear of the other. 5. we will lose focus on our approach to religion. 6. we will fail to acknowledge our religious plurality. Workshop three built on reflective storytelling, focusing on our inclusion and exclusion experiences. We continued by exploring our personal identity, those parts of who we are that make us human. 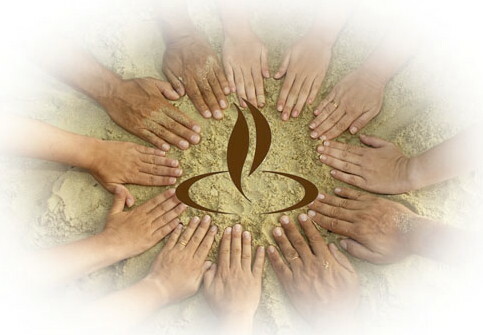 "My Unitarian Universalist faith is my foundation for my work, my volunteering, and my approach to life. It informs how I related to others. I assume people of other faiths relate to others from their religious and philosophical foundation as well. How do we hear each other and appreciate each other when we come from very different belief symptoms? How do we find commonalities that help us appreciate one another?" "I enjoyed sharing with others the exploration of identity and what in particular it means personally to be human. Many ideas emerged and were compared for me. In some respects, this workshop material suggests why we have ended up in this Unitarian Universalist congregation." "One of our small group members suggested that being human is the struggle to get back to our spiritual connections. I am continuing to struggle with the idea of being human--all of the mean and violent acts perpetrated against others cannot surely be a reflection of a 'human' being." "I found it interesting to narrow down to the core those things that are essential to being human--showing that skin color, ethnicity, gender, class--none of them even came close to the core of what it means to be human." "The picture card exercise was effective in demonstrating that despite nearly equivalent objective descriptions of an event, interpretations of the event can be divergent. No new ideas resulted from this session, however, preexisting ideas were stimulated which were reinforced by this very well-crafted format." " I had no clue how differently the world is seen and felt by one who is of a differing racial background. The challenge is to be aware of my own relationships and my own identity. Are identity and characteristics synonymous? I dont' know. Curiously for myself, I did not list child of God, human being, body/soul/spirit/mind as part of my identity. Maybe if I look at that, marginalization ceases to have power." "I found it challenging to differentiate 'what makes us human' from characteristics and habits. I feel there is a lot of overlap here." "The most challenging and interesting part of our day was defining what it is to be human." "It is most challenging to discern between personal identity and learned habits. I think I have a lot of work to do in this area." "This session really dealt with one question: 'Who am I and how did I get this way and who will I become? This is a very challenging and possibly risky activity." "Today was interesting, challenging and puzzling. Distinguishing between traits that make me human or things I do that are just habit was the challenge. I found it interesting that some found nature to be centering while others felt that action was centering." "As I contemplated what it is that makes me human, I came to the idea that it is the spiritual component of my life that makes me human." "The most interesting aspect of today was how I perceive my relationship with myself and others." "I found it interesting to contemplate what it would be like to lose aspects of what makes me human such as the loss of cognitive ability--the long slide into Alzheimer's disease--the loss of self and the loss of myself to others. I also found it interesting how differently each of us can see the same thing." "The postcard exercise was revealing and interesting but the large group written instructions seemed to steer us away from looking at identity. The final quotes were interesting, but too bad we didn't have time to discuss them. Great session in general." "What makes up my identity? It was enlightening to come up with, after careful thought, what the parts of me are--I thought about what people have said about me and things I think about myself. Some things are really important to me being me. I have only recently been marginalized in a significant way, it was life threatening. I cannot imagine a marginalizing experience lasting the majority of a life-time. Recovering is hard." "It was interesting to realize that neither my gender nor my race were near the top of the list of what makes me human. I like the powerful idea that the core values I prize are sometimes affected by, but are not determined by, my race/gender and other identifying aspects."